Welcome to the first instalment of the Electone Records blogs for 2014. Hope everyone enjoyed their Christmas and New Year! Without further a do, lets look at what’s been cooking these past few weeks and what exciting musical ventures are on the horizon. A band previously mentioned to keep an eye out for was The Levons. They recently played an absolute stormer of a set at The Baltic Social, proving they are heads and shoulders above most bands on the scene already. From the first Zeppelin-esque distorted riff of ‘Stop These Games’ through to some soon to be toe tapping classics, before finishing with the infectious ‘Ain’t Enough Days’ leaving the audience hanging on every note with Lightning Seeds leader Ian Broudie taking in the acts, with a number of other prominent Liverpool musicians in the audience. Headlining the show was the classic country drenched four piece, The Offshore Rivers, who had made the jaunt North from Lincoln to grace the venue with their acoustic laden tunes working as a canvas for heartfelt harmonies and delightful guitar tones. In mention of The Baltic Social, the bar has recently been converted from the Elevator Bar. This exciting development is led by Daniel Murphy (previously of Sound Food and Drink) and is fast becoming a key hub for live music as well as fantastic food and drink. Located on Parliament Street in the core of the Baltic triangle area, we are thrilled to announce The Baltic Social will now play host to a monthly residency for ‘Electone Records Presents….’ , The Electone Records monthly club night featuring live acts and DJs. All for FEE! The first ‘Electone Records Presents…’ kicks off on Saturday 1st March 2014 and we have a great night planned. After a storming performance at the launch of the Liverpool ‘Electone Records Presents…’ back in December at The Blade Factory, The Romley’s return with their 50s storming foot stomping songs that keep you hanging on for more. An Electone Records solid favourite! If you’ve yet to catch the air tight three piece, be sure to check out their latest single, ‘We Love Everyone’ in which the accompanying video sees the band going toe to toe in a Laurel and Hardy-esque take. Also performing on the night will be ‘ark’, (whom prefer all lower case spelling) who recently supported Shack leader Michael Head & The Red Elastic Band’s incredible comeback (which we covered in previous blogs, check it out!) featuring an incredible voice in Alex Evans and local producer extraordinaire Steve Powell, who recently prodcued Mick’s Artorious Revisited EP as well as recording and engineering The Wicked Whispers’ debut album, being produced by the bands leader Mike Murphy. ‘ark’s debut gig was extremely well received by all present and are we’re left eager to hear more. Powell, who along with a number of local Liverpool musicians drafted in, have set up base at the creative hive of Track Studios, working on a number of tracks together, so definitely come at check out what could be the start of an incredible career for ‘ark’. The Wicked Whispers frontman Mike Murphy will be spinning his favourite records afterwards until 2am rounding off a killer first instalment for 2014! The night kicks off at 8pm, and what’s even better is it’s free entry, so get down early, as there’s limited spaces, great acts, great location and there will be a pop up stall for our limited 7” and 12”s releases to date so come on down! ‘Electone Records Presents…’ will also be returning to Glasgow following a sell out launch back in December for the Red Sands album release. Details coming soon. Tickets are now on sale at £6 advance from See Tickets, get yours now! A limited amount of tickets will be available soon from Liverpool’s Probe Records and The Baltic Social. Stay Tuned. As for The Wicked Whispers, the progress of their debut album nears completion as the mixing of the record has been going on throughout January with Mike Murphy and Steve Powell at the helm. It wont be long until we can announce those exciting details for its release. A very special in studio interview will be coming in February!! Looking back, this week was the anniversary of The Beatles’ final public live performance on top of the Apple building in London, which is now over 45 years ago and remains a heart aching watch with how things were unfolding behind the scenes. 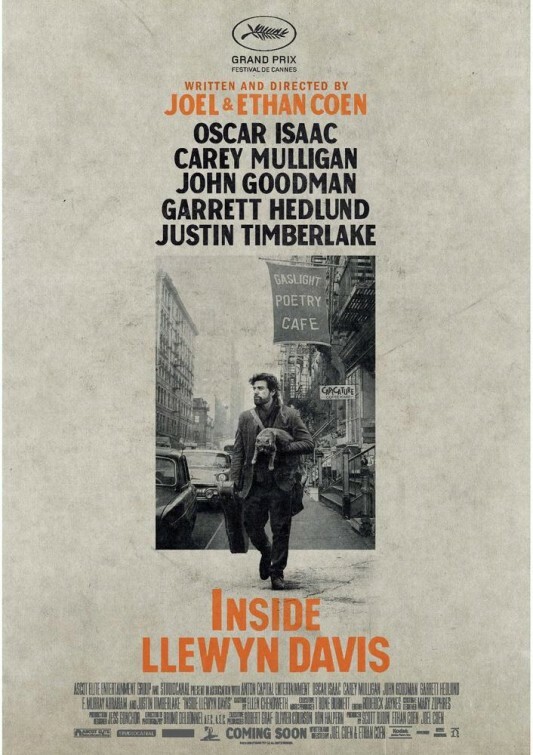 For those folk music lovers, a recent film in the cinema is The Coen Brothers’ Inside Llewyn Davis, giving a glimpse into a struggling folk singer in 1961 as he navigates the soon to be folk hotspot of Greenwich Village before the arrival of a certain Bob Dylan. The film stars Oscar Isaac, who performs a number of traditional folk songs, including the amazing ‘Fare Thee Well’ and ‘The Death Of Queen Jane’, well worth a watch for music lovers. Justin Timberlake and John Goodman also make appearances, making the film an all round classic. Also if you’ve got a spare couple of quid, Liverpool’s Hairy Records entire vinyl collection is up for sale with roughly 15,000 records up for grabs, and listed on eBay. Many of us have fond memories of the Bold Street store, I once met Mick Jones of The Clash as he walked out with a couple of records under his arm. So get them bids in eh!? So, last we up here are some staff and artist picks of exciting releases to arrive in the coming weeks. Its an exciting time for Heavenly Records as the Temples debut album lands nextweek entitled ‘Sun Structures’ already receiving positive reviews across national press. The green vinyl version has already sold out on pre order! Former Doves frontman Jimmi Goodwin arrives with his debut also this March which from what we have heard so far sounds incredible. Electone and Wicked Whispers favourites The See See finally receive a US release for their album ‘ Days, Nights and Late Morning Lights’ on the fantastic Sundazed Records, which will be out in March. Mogwai’s new album ‘ Rave Tapes’ also out this month and we cant wait to hear it. Get the 12” to receive a limited edition bonus 7” for a limited time only! See Electone Records Favorites and fellow local pyschsters Mugstar support them on their current European tour! 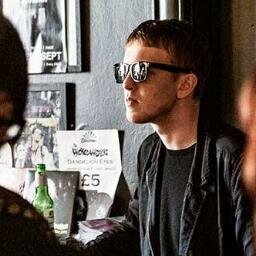 Baltic Records are set to release the self titled debut album from Liverpools The Tea Street Band shortly.. After doing some exciting shows at the Sundance Film Festival recently for Red Touch Media and building their momentum nicely, it’s a great time for these dancefloor /indie rockers. The cover of the album is also strangely the view from Wicked Whispers singer Mike Murphy’s bedroom window. To finish Beck’s new album is ready to arrive this month entitled ‘Morning Phase’ after recently signing to Capitol Records lead by single ‘Blue Moon’ Lovers of Sea Change will be made up with this as it promises to be the companion album to his hreatbroken masterpiece. It also steers closer to Odelay bringing back some superb space like and retro sounds. The cover is ace also. We just cant wait to get our hands on it. Catch you all next time! Spread the word. This entry was posted in Electone Records Blog by electonerecordsblog. Bookmark the permalink.